Ideal for all sealed surfaces, Maid Simple Furniture Polish will remove dulling film and finger marks to give an instant shine . It is wax free to prevent polish build up and anti-static to reduce dust. 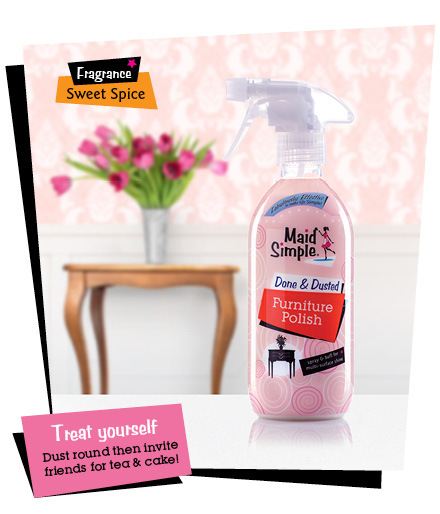 Using Maid Simple Furniture Polish also freshens any room with the sweet spice fragrance of cinnamon, cloves and vanilla.